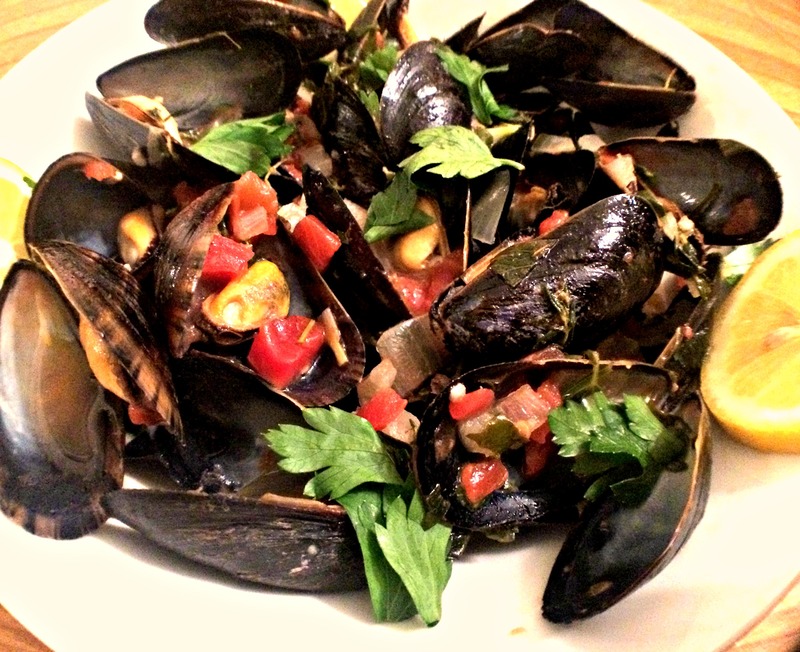 Mussels are an elegantly delicate bivalve typically served as an appetizer or entree. Their intricate flavor leads some to assume that cooking them at home requires culinary prowess. However, with proper aromatics and good wine, nothing is impossible. 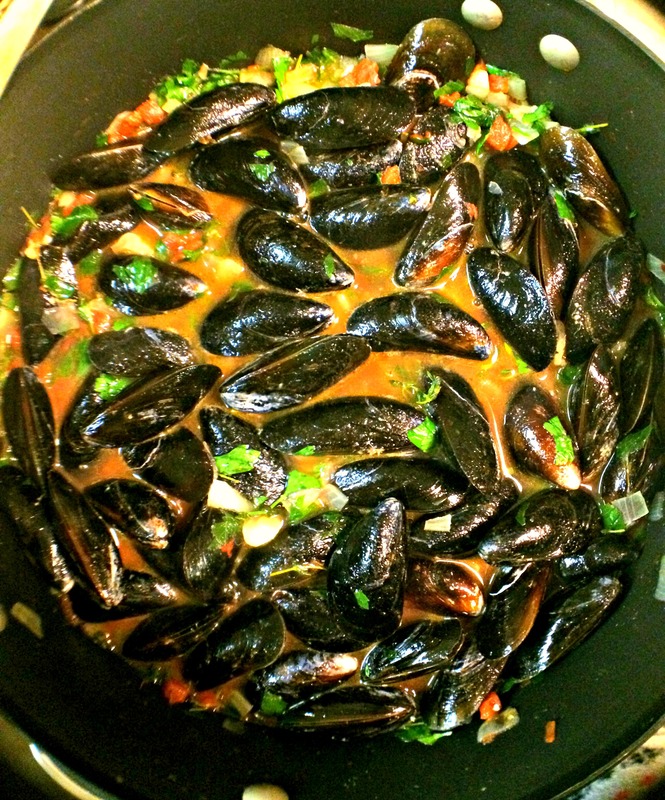 Ina Garten’s Mussels in White Wine recipe not only boasts 5 stars with 142 reviews, but also made it simple to dine on mussels in my own home. Although I made some changes, I primarily followed the recipe that can be found by clicking on the link at the end of this post. 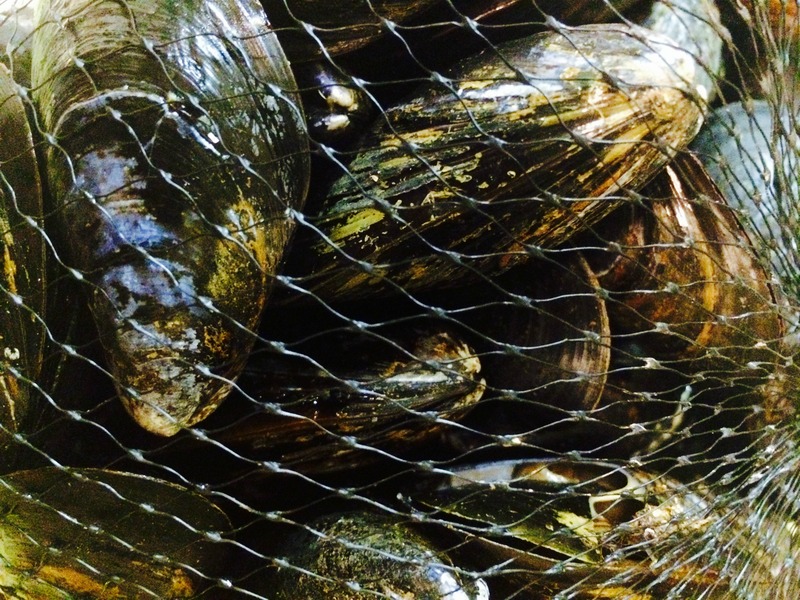 Soak 3 pounds of fresh mussels in cold water and 1/3 cup of all-purpose flour for at least 30 minutes. Most of the mussels we purchase are cultivated and therefore contain very little grit. But for those that do have some riffraff, the flour aids in accelerating its removal. While soaking, they filter in the water and flour, then release any sand. After this, you want sort through them and throw away any mussels that are opened, even slightly. This is because they are dead. 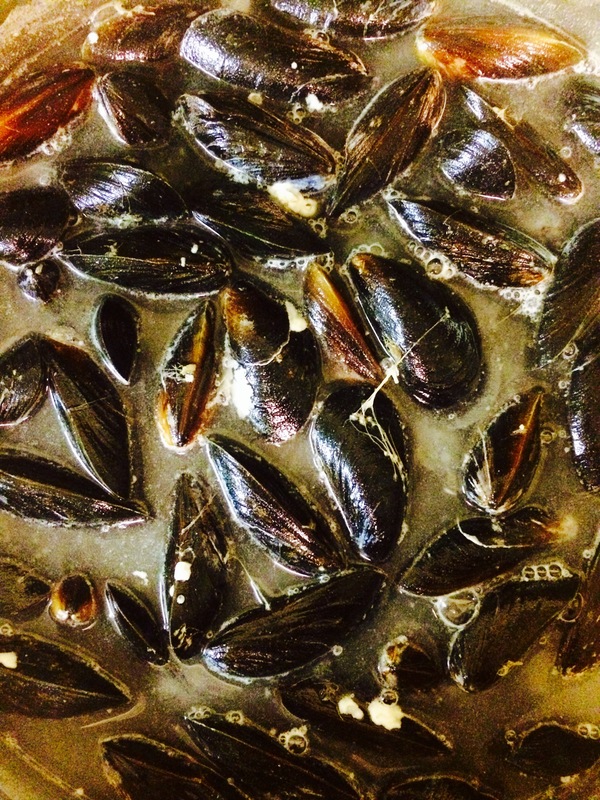 To clean the remaining mussels, rub off the “beards” with your fingers. If the shells are dirty, scrub them with a brush, but DO NOT wash them off with hot water. I did this and they opened prematurely. I could not tell between the “dangerous” ones and “eatable” ones. My husband saved the day and told me to soak them again in ice water. The ones that closed back up were “safe” to eat. 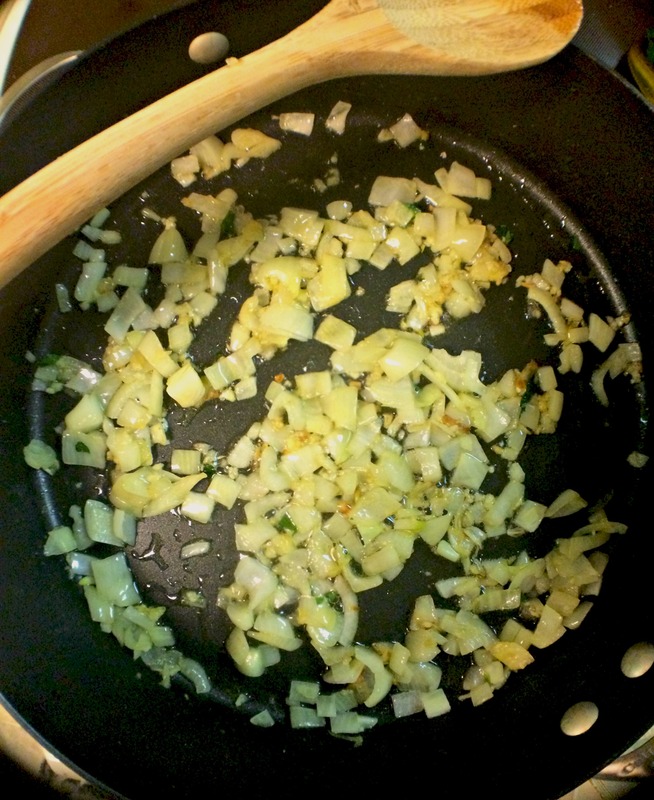 Saute one Whole Onion in Olive Oil and Butter for 3 minutes on medium heat. Then add 5-6 chopped Cloves of Garlic to the pan. 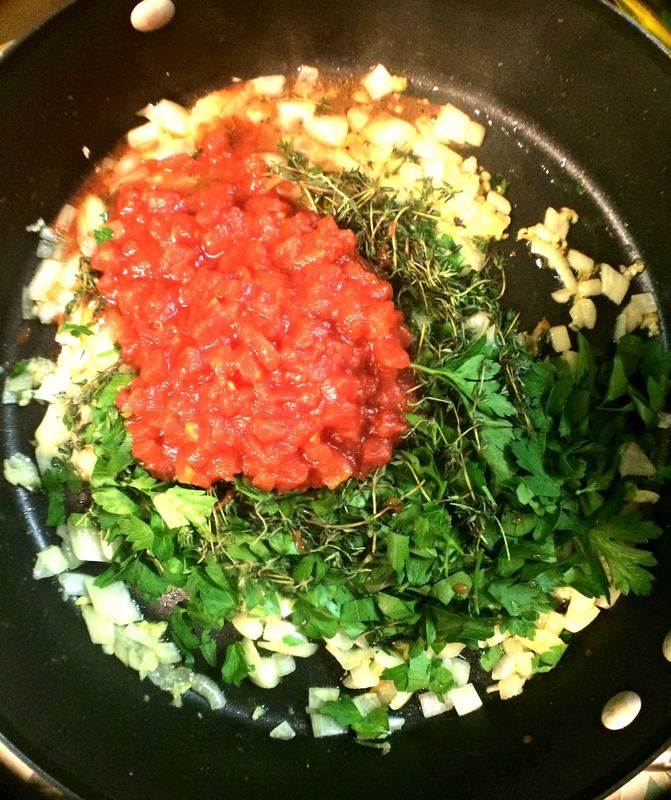 Once the onions are translucent, add 1/2 cup of Diced Tomatoes (not drained), 1/2 cup of chopped Parsley, 4-5 chopped sprigs of fresh Thyme, 1 cup of good White Wine, 2 tsp. of salt and 1 tsp. of pepper. Now add the mussels to the pan and stir them into the mixture thoroughly. Cover the pan for 8-10 minutes and watch the little mussels open up like the beaks of hungry baby birds. Shake the pan 1-2 times during this time to ensure that they are not burning to the bottom of the pan. Garnish with Parsley and squeeze on fresh Lemon. Serve with Crusty Bread to sop up the savory juices. P.S. – Do not eat any of the closed mussels. 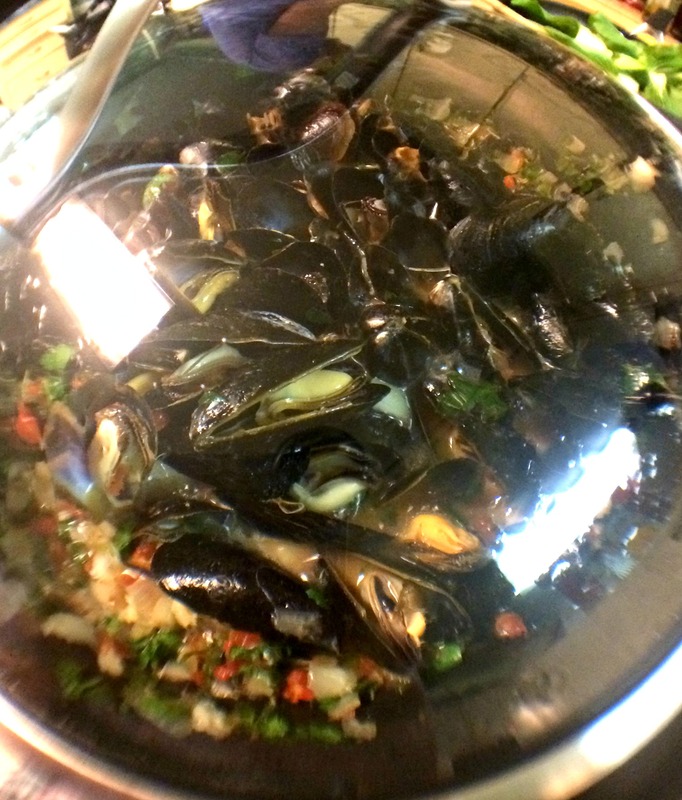 Have you made mussels at home? Let me know what you think!